In recent years, a major focus of China’s military has been the development of an operational concept to deny or make costly access to areas of the Western Pacific for potential adversaries. This concept is commonly referred to in the United States defense planning community as anti-access/area denial (A2/AD). 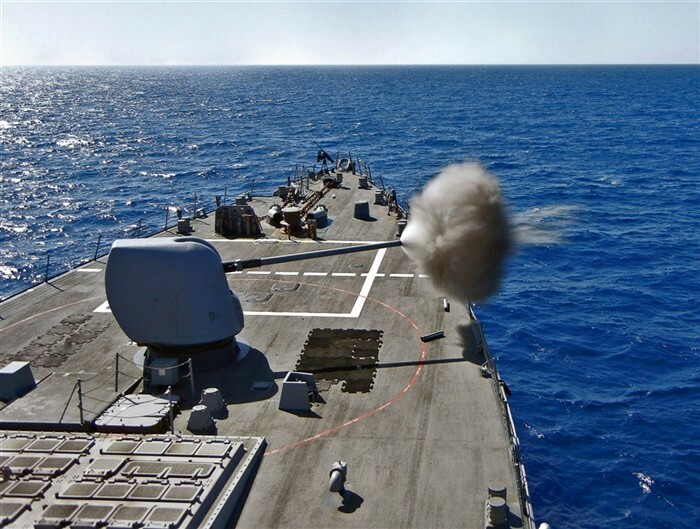 It emphasizes the use of long range striking power aided by sensors, largely in the form of ballistic and cruise missiles, to hit naval surface forces and fixed targets on land. Surface-to-air-missiles and fighter planes guard these weapons from enemy air strikes while stealthy diesel submarines and missile-equipped surface ships pose an additional threat to naval forces operating in the area. The A2/AD concept also envisions strikes on enemy space-based sensors and communications. This system is designed to destroy or prevent enemy forces entering a given sea or air space. Such capabilities could threaten America’s ability to access the oceans near East Asia, hindering American trade and ability to project military force in the region. China’s growing A2/AD capabilities combined with the country’s increasing assertiveness in the disputed waters of the South and East China Seas are interrelated. Greater A2/AD abilities could be used to coerce other East Asian countries in Beijing’s territorial disputes. Creating artificial islands in turn have the potential to strengthen China’s A2/AD capability as they could provide a location for missiles, aircraft, or sensors. Although China and the United States are not at war, American defense planners have spent several years debating what sort of operational concept would be most suitable to defeat an A2/AD campaign in the Pacific. A range of solutions have been suggested by the military, academia, and think tanks. This article provides an overview of the counter-A2/AD concepts suggested and ends with a recommendation regarding the most effective concept. Broadly speaking, the ways in which strategists suggest the United States fight an open, high-intensity war with China in the Western Pacific can be placed into three categories: destroying China’s A2/AD capabilities, creating a counter A2/AD zone, or enacting a distant blockade. These proposed strategies have overlapping components, and elements of all three could be used in a campaign against China. Writers have tended to emphasize policies revolving around one of the three options, though. 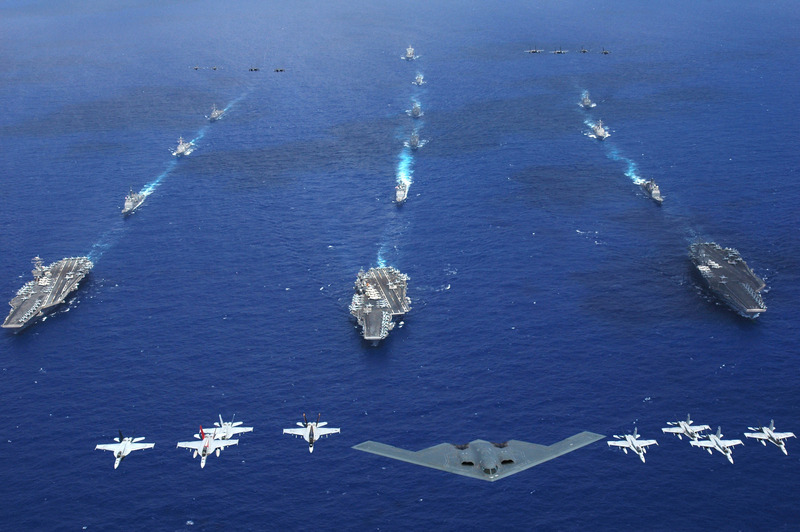 The operational concept predicated on destroying China’s A2/AD capabilities directly is best exemplified by the Air/Sea Battle concept envisioned by the United States Navy and Air Force. Air/Sea Battle and similar strategies plan to destroy Chinese forces that make an A2/AD campaign possible. The fight to regain access includes destroying the missiles, ships, submarines, and aircraft that deny access, synchronized with a campaign to disable the communications and sensors that contribute to the lethality of long range strike systems. Defensively, this concept also requires increased survivability of platforms operating within the A2/AD zone as well as American sensors and communications systems supporting the complex operations needed to destroy Chinese A2/AD abilities. An operational concept that aims to destroy China’s A2/AD abilities offers promising results in that it could eliminate the threat altogether, but its feasibility is questionable. Striking through the Chinese A2/AD zone to destroy missile launchers presents a number of difficulties. It could be done with aircraft that penetrate the A2/AD zone to strike targets. The aircraft would be at a disadvantage, though, in finding mobile launchers that can utilize the cover and concealment provided by the Earth’s terrain. They would also need to contend with Chinese fighters and air defense networks. To ensure the concept’s feasibility, particularly in the long-term, new technology and investments would need to be made. Particularly, this would be needed to protect expensive but vulnerable platforms the United States relies on to project force. Also important would be the ability to see and strike over long distances into the Chinese mainland. Given the continued growth of the Chinese economy, it cannot be assumed that the United States will be able to outspend China in such an arms competition. A second plan envisions the creation of a counter anti-access zone by the United States and allies in the region, effectively denying China access to its near seas. The major difference compared to the previous option is that this does not seek to regain access into China’s zone of denial through brute force. Instead, a counter A2/AD zone denies China many of advantages of its own A2/AD zone while applying economic pressure on China to end the conflict. Dr. Aaron Friedberg has proposed a Maritime Denial operational concept representative of concepts in this category. In principle, Maritime Denial creates a “no man’s land” off the coast of China. If Chinese ships and aircraft cannot safely move through the counter A2/AD zone, aggressive actions by China against its neighbors, such as landing and sustaining soldiers on disputed islands, would be difficult. Chinese commerce traveling through the zone could also be targeted to add pressure to end the conflict. Creating the counter A2/AD zone could be done using a variety of weapon systems. Dr. Friedberg emphasizes the potential of submarines, manned and unmanned, to sink Chinese ships entering the counter A2/AD zone due to China’s relatively weak anti-submarine warfare capabilities. Drs. Biddle and Oelrich mention the use of longer range anti-ship missiles to strike targets in the “no man’s land” in addition to longer range anti-radiation missiles to help limit the extent of China’s own A2/AD zone. Implementing the operational concept would bring many benefits. The Chinese economy is dependent on seaborne trade, particularly for energy. Shipping would struggle to reach China through a no man’s land in the West Pacific, creating economic pressure to end the fighting. In addition to coercive pressure, counter A2/AD would deny China many of the advantages of its own A2/AD zone related to power projection and coercive pressure within their protected zone. If China cannot benefit from coercive force within its A2/AD zone, Beijing’s strategy loses much of its purpose. It would also be easier to achieve than the direct destruction of Chinese A2/AD capabilities, as it would involve attacking more exposed targets within range of a greater number of US weapons. Counter A2/AD would still grant China an A2/AD zone of its own, though, with the potential to hinder friendly seaborne trade or power projection. Technology procurement to ensure the plan’s feasibility in the long term and associated costs vary depending on the specific propositions. Improved, longer-ranged anti-radiation and anti-ship missiles, unmanned underwater vehicles, more submarines, as well as redundant and/or more resilient sensor and communication arrays, would all be beneficial, but incur additional costs. Except perhaps for improved UUVs, which the US is investing in already, these technologies are incremental improvements over existing capabilities. As such the procurements would likely be cheaper than the broader procurement of more revolutionary systems likely needed to ensure Air Sea Battle’s continued feasibility. A final choice is to implement a coercive blockade, a choice described in some detail by T.X. Hammes. As mentioned above, the Chinese economy is heavily dependent on seaborne trade, particularly for energy. A blockade stationed outside most of China’s A2/AD reach could interdict trade going to China. The economic damage from the blockade could force China to stop whatever acts of aggression were being carried out. American forces would likely be stationed to interdict seaborne traffic near the Lombok, Sunda, and Malacca straits to accomplish this mission. To implement the operational concept, the US and its military allies would need to be able to control traffic at these major choke points while also defeating Chinese sorties outside of their A2/AD zone that attempt to reopen sea lines of communication. The blockade strategy is relatively feasible and cheap compared to the other options. Few new resources would be needed in order for it to be implemented. Some smaller ships for stopping and inspecting trade bound for China would be a potential investment, but these would not need to be sophisticated platforms to perform the mission. Re-opening sea lines of communication would require China to engage the United States outside the protection of its A2/AD zone where it would be at a severe disadvantage. The American fleet has carrier-based aviation, while Chinese land-based fighters would at best be at the end of their operating ranges. When traveling longer distances, the nuclear-powered American submarines can be quieter than the diesel/electric submarines of China. The superior training and experience of the US Navy would also provide an advantage, particularly at greater distances from the Asian mainland where the Chinese Navy is less experienced at conducting operations. On the other hand, it does little to address China’s ability to exert pressure within the zone. For example, a blockade would not force Beijing to relinquish control of a disputed island in the short-term. There is also the question of political feasibility, considering that trade with China is in the economic interest of other countries and the possibility that China may be willing to bear the costs of a distant blockade. A country under attack by China may support a blockade strategy, and others worried about future Chinese threats might also. Other countries, particularly those with economic ties to China could be reluctant to support the blockade depending on their circumstances, particularly in the absence of extreme or blatant acts of aggression on China’s part. Ideally, the United States will never need to fight a war against China. The economic harm would be immense, as would the loss of life. As long as China continues its increasingly aggressive behavior in East Asia that goes against the interests of America and its allies, though, there will be a reason to plan to defeat an A2/AD campaign. At the moment, it appears that emphasizing the counter A2/AD operational concept is the ideal approach to prepare for conflict in the West Pacific. Unlike the direct destruction of Chinese A2/AD abilities, this approach would not require radical new expenses and it would be more feasible in the long term. The counter A2/AD zone incorporates the coercive economic pressure of the blockade strategy, but it also denies China advantages of its own A2/AD zone. Counter A2/AD would likely be more expensive to implement than a blockage, but still feasible. If the choice of a counter A2/AD approach endures, the next steps will be deciding what defense research to fund and what equipment to buy. The US should also work to incorporate regional allies into the plan of operation. This would allow the US to share the burden of regional security while adding more military capabilities for creating the counter A2/AD zone. Given the emphasis the American government has placed on its role in Asian affairs, such preparation should be a high priority. Ben Wermeling is a recent graduate of the George Washington University’s Security Studies Program. He is interested in conducting research on a variety of warfighting and national security topics. Harry Kazianis, “America’s Anti-Access Nightmare Coming True.” Real Clear Defense. May 21st, 2013. For an in-depth discussion of A2/AD and its history see: Sam Tangredi, Anti-Access Warfare: Countering Anti-Access and Area Denial Strategies. (Annapolis: Naval Institute Press, 2013). Hannah Beech, “What’s New on China’s Artificial Islands? Basketball Courts.” Time. May 22nd, 2016. The pictures showing the evolution of the islands are of particular note. U.S. Department of Defense, AirSea Battle: Service Collaboration to Address Anti-Access and Area Denial Challenges (Washington, DC: U.S. Department of Defense, May 2013); Jan Van Tol. et al., Air Sea Battle: A Point-of-Departure Operational Concept (Washington DC: Center for Strategic and Budgetary Assessments, 2010); Maj. William H. Ballard, Col. Mark C. Harysch (retired), Col. Kevin J. Cole (retired), and Byron S. Hall, “Operationalizing Air-Sea Battle in the Pacific.” Air and Space Power Journal, January-February 2015 (the name Air-Sea Battle has been changed to Joint Concept for Access and Maneuver in the Global Commons, in part to emphasize the need for all types of forces to participate); Sam LaGrone “Pentagon Drops Air Sea Battle Name, Concept Lives On.” USNI News. January 20, 2015. Aaron L. Friedberg, Beyond Air-Sea: The Debate Over US Military Strategy in Asia (London: The International Institute for Strategic Studies, 2014); See also: Stephen Biddle and Ivan Oelrich, “Future Warfare in the Western Pacific.” (Paper Prepared for Presentation to the American Political Science Association Annual Meeting, San Francisco, September 6, 2015). Aaron L. Friedberg, Beyond Air-Sea: The Debate Over US Military Strategy in Asia, 116-118. Ibid. 125. Also: Stephen Biddle and Ivan Oelrich, “Future Warfare in the Western Pacific.” 26-30. Stephen Biddle and Ivan Oelrich, “Future Warfare in the Western Pacific.” 29,30. T.X. Hammes, “Offshore Control: A Proposed Strategy for an Unlikely Conflict.” National Defense University Strategic Forum. June 2012, No. 278; See also: Sean Mirski, “Stranglehold: The Context, Conduct and Consequences of an American Naval Blockade of China.” Journal of Strategic Studies. 2013, Vol. 36. Sean Mirski, “Stranglehold: The Context, Conduct and Consequences of an American Naval Blockade of China.” Mirski argues that the force structure needed to implement a blockade would be modest, perhaps no new major purchases would be needed for the blockade strategy.